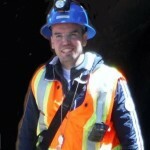 Senior Engineer with over 26 years of experience in the mining industry. M. Duplessis has a vast experience in mineral resource estimation, orebody modelling, audit of resources and geotechnical studies. He has worked in multidisciplinary projects in various countries (Canada, Colombia, Mexico, French Guyana, Mali, Morocco, Algeria, Ghana, Congo, Burundi, Chile, Peru, India, Saudi Arabia). 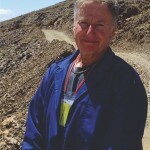 Senior Mining-Metallurgical Engineer with over 45 years of experience in the mining industry. 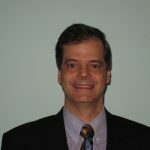 During these 45 years Mr. Rousseau has worked as senior Engineer for several Canadian mining companies (Iron Ore Company of Canada, Camchib, Somex, Sullivan Mining Group, Carey Canada, Société Minière Louvem, Mining Group Morisco, etc.). Furthermore Mr. Rousseau was a consultant for: Sidam, LMB (Rousseau, Sauvé Warren), St Michel Groupe Conseil and SGS. Mr. Rousseau taught for several years at Cegep de l’Abitibi-Témiscamingue. Graduate mining engineer with close to 40 years of experience so far. His expertise is in mining operations and production, technical sales and marketing in the explosive domain for mining and construction sector, and project management for the mining area. He worked as an senior executive for companies such as : CIMA+, SNC Lavalin, Labrador Iron Mines, Orica Canada, Nemaska Lithium and underground mining companies like McWatters, Barrick Gold and Noranda. Merouane Rachidi, P.Geo., Ph. 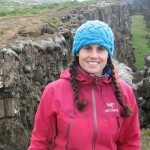 D.
Geologist with over 8 years of experience in Exploration Geology. Broad experience in geological mining exploration, structural geology, drilling campaign supervision, 3D orebody modelling and mineral resource estimation (NI 43-101). He has an excellent interpersonal communication and organizational capacity that has been implemented with success in many projects in Canada, Africa and South America. Pierre-Garant Gagnon, BLA, Sr. Tech. Bachelor in Landscape Architecture, Mr. Gagnon has developed his expertise in site reclamation and GIS for the mining industry. For the past 12 years, he has worked on many projects located in North and South America. 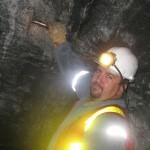 His excellent knowledge of 3D softwares such as Gems Pit Design, brings an added value to GMG’s team for the mine sites design during and after exploitation. He is constantly putting forward sustainable development principles in order to minimize the ecological footprint of the mining projects. Bachelor in Geology, Mrs. Côté now occupies the position of Administrative Assistant. She has a large experience in administrative management. 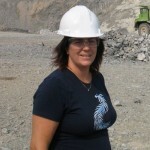 Her academic studies in the earth sciences as well as her expertise in many areas make her a valuable and knowledgeable contributor to the company.